Other sports activities like tennis, squash and other indoor games will also run concurrently until Sunday. A view of the Mbarara Golf Course. Mbarara District will be a hive of sports activities this weekend as Uganda celebrates World Tourism Day. Organised by Sports Tourism International, the three-day event will have over 500 people participate in different sports activities that will include Golf, a walk/run and indoor games as a way of promoting local tourism. According to the team leader and Director Sports Tourism International, Aggrey Mwesigwa, the activities will start on Friday with a community based walk/run aimed at raising money to support the school for children with special need s in Mbarara. "We promote tourism using the universal appeal of sports because it does not discriminate and can have everyone participating. It is in line with the theme of this year's tourism day; 'tourism for all'," Mwesigwa noted. Over 100 golfers from different clubs across the country are expected to compete in the Mbarara Golf Safari which will be played on September 24, with a prize ceremony to be presided over by the Minister of Tourism, Ephraim Kamuntu following in the evening. The Bank of Uganda sponsored event will have the top performers winning themselves Tourism related prizes among others. "Next year we will have the Golf Safari moving outside the country in Rwanda, Kenya, Tanzania and Zambia. 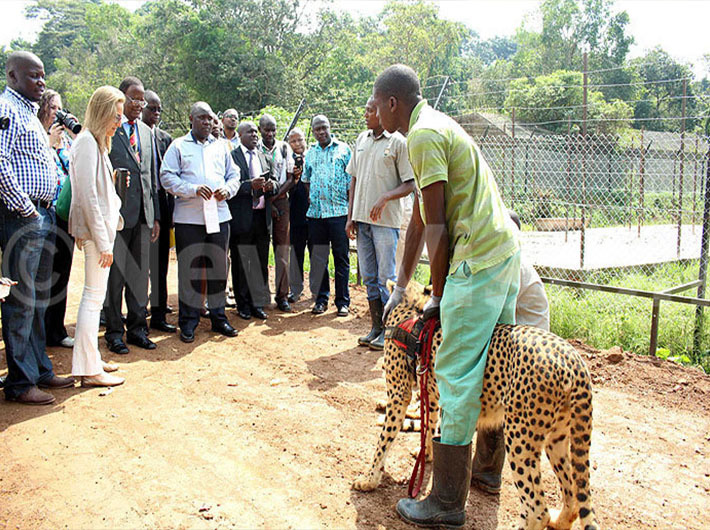 We hope to attract tourists to Uganda who will come not only come to enjoy the natural beauty of the country but also to play golf," Mwesigwa said. This is the fourth leg of the local sports tourism activities following earlier ones in Kabale, Jinja, and Kasese.